From all appearances, I jinxed this week’s weather by mentioning how great it was last week. This fine Florida morn comes in about 40 degrees cooler than the same time a week ago, and I do not appreciate it. Nonetheless, there are cigars to be smoked and I’m not one to shirk my responsibilities. 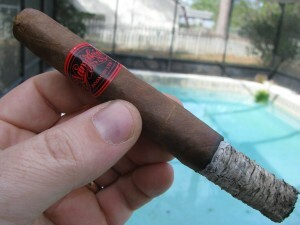 The “official” cigar up for review this week is the Room101 Namakubi Tiburon (6X44) from Room101 Cigars. The Namakubi series derives its name from Samurai culture in centuries past, where the Namakubi was a trophy presented to the winning leader after a competition – the trophy being the severed head of a losing warrior. Our modern day Namakubi is presented with an ornate band, adorned with stylistic lettering reminiscent of the culture from which it takes its name. It is manufactured by Camacho for Room101 and contains a filler composed of a mix of Dominican, Nicaraguan, and Honduran (Vuelta Abajo) tobaccos, a proprietary Honduran binder and Ecuadoran Habano wrapper. The Tiburon is available in at select retailers, and sells for about $7.50-8.00 each in the Tampa market. 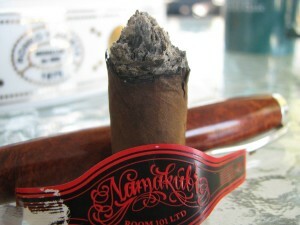 I picked up several Namakubis at my local shop, and have now smoked 3 in preparation for this review. In all honesty, the first thing I noticed about each of them is the beautiful, milk chocolate-brown wrapper. The coloration has been remarkably uniform, such that the seams of the roll almost disappear. This uniformity has been the case in most every facet of the smoking experience with my three examples. The consistency among all three has been noteworthy, whether speaking of color, construction, flavor, burn, or any number of other characteristics. I am impressed, to say the least. Upon clipping, the cold draw is firm; perhaps just a bit moreso than I would deem perfect for my comfort, but within the normal acceptable limits. The flavor is earthy and sweet, and the unlit aroma is of hay and fig. The construction is as good as any cigar I’ve ever smoked. The pack seems to be equally distributed from head to foot, with no soft spots nor voids. During the first few minutes after lighting, the smoke has a bit of spice to it, although this is tempered with a sweet, leathery flavor. I have paired today’s stick with a cup of plain, black coffee. The interplay of the slight acidity/bitterness in the coffee with the sweetness of the Namakubi is very nice. I’d recommend at least giving it a try if you’re a coffee drinker. Continuing into the first inch of smoking, the spice transitions into a mild, sweet flavor that I have, on previous occasions, called “tropical spice.” As I mentioned in another review, this family of flavors reminds me of the Caribbean cooking spices more than the black pepper typically referred to as “spice” in cigar descriptions. The aroma of the sidestream smoke is pleasing as well, perhaps a little less astringent than most, and almost chocolate-“ish.” Normally, I would not notice this as I smoke, but I caught a whiff of this one and thought it might even be tolerable for many folks who prefer not to even be near a lit cigar. As I progress into the second inch of smoking, I must say that the Namakubi seems less potent than other Room101 cigars I have tried. This does not impact the flavor as might be expected. 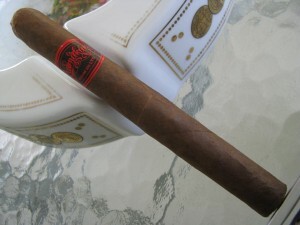 The flavors are quite bold and bright; it just isn’t as strong a blend as some other offerings. The flavors are slightly muted from the earlier portion of the cigar, but still present in straightforward, well-aged tobacco taste. Forgive the muddled description, but the flavor seems more “round” than earlier – more smooth; creamier even. There is also an occasional but short-lived fruity sweetness that will make an appearance. As I approach the third inch of this final Namakubi, the ash is still clinging tightly to the unburned portion of the stick. This is despite the fact that I have been walking around while smoking, and actually dropped it into the cradle as I was placing it on the ashtray. I was so impressed by this that I measured once the ash fell. Of the original 6″ length, only 2.75″ remained when the ash first fell. 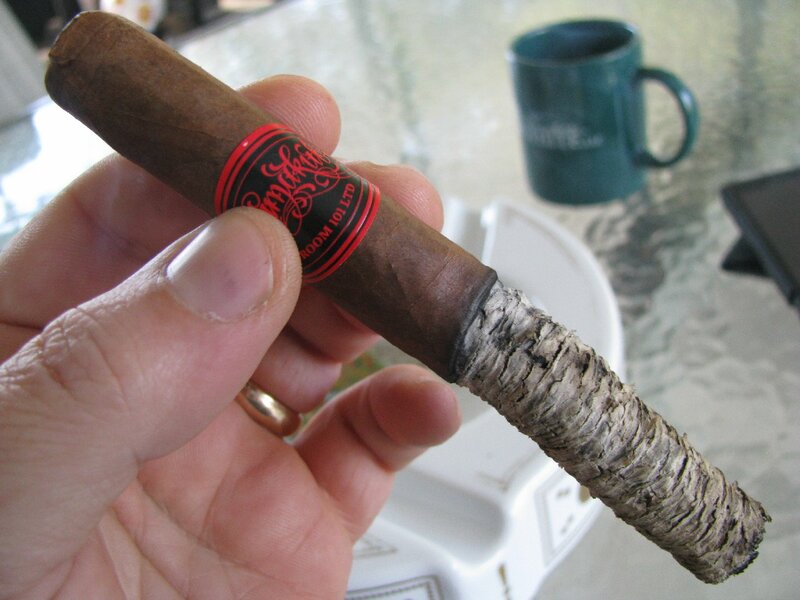 That is more than half the cigar burned away before it let go – with absolutely no effort to protect the ash. Just normal, everyday smoking. Amazing, really, considering it had no special treatment. Going into the final stretch, the strength picked up measurably. It still isn’t overpowering or brash, but it is noticeably stronger. The flavors are still bold, but sweet with no harshness. I’m picking up leather and wood flavors in addition to the sporadic sweetness mentioned above. No review found! Insert a valid review ID. 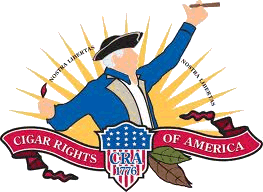 A cigar enthusiast since 1994, I strayed into deeper involvement with the tobacco industry just before founding The Cigarmy blog in 2011. This preoccupation grew once more when I co-founded Half Ashed with Craig Schneider in February 2013. With the consolidation of The Cigarmy and Half Ashed in late 2014, you can now read my cigar reviews, news and editorial commentary here - and catch me live on every episode of the Half Ashed Cigar Podcast.